The unity ceremony is a magical moment in the marriage ceremony. This sacred ritual symbolizes the joining of two separate journeys into a singular path and honors the spiritual commitment the couple is making. For decades, the go-to customs in the U.S. have involved lighting candles and mixing different colors of sand. However, many modern couples are looking for distinct ways to infuse their wedding day with personal touches and putting a unique twist on this traditional custom is the perfect way to achieve this goal. From planting a tree to sending wishes to the heavens to sipping sweet nectar, you are sure to find the perfect unity ceremony in this comprehensive profile. As you look at your options, consider how well each one fits in with your personality, cultural heritage, religious beliefs and venue. To further personalize the experience, ne sure to browse the accompanying articles featuring marriage sayings, quotes, readings and prayers that complement each theme. 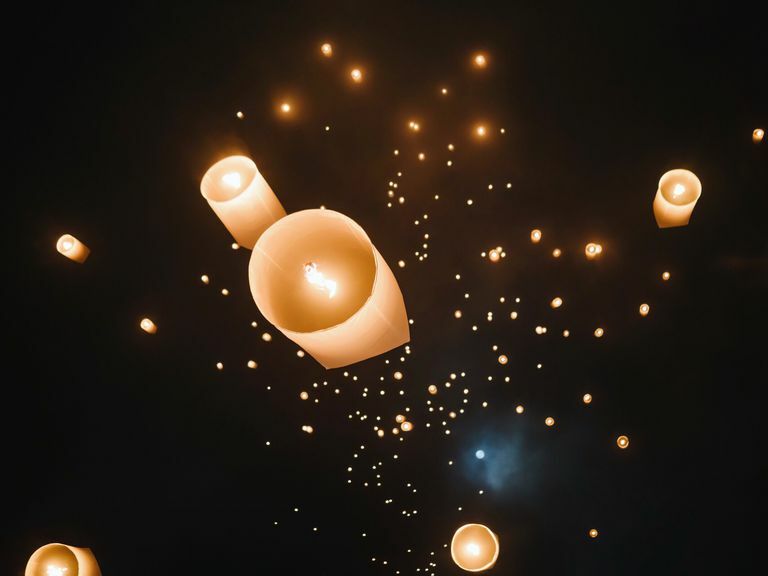 Sky lanterns create a spectacular wedding moment as you and your guests send your wishes, blessings, and prayers for a prosperous journey through life as a married couple up to the heavens. Launching the lit paper balloons also represents the letting go of your old life so that you can begin a new one. These sky lantern marriage sayings and love quotes are a beautiful way to celebrate the meaning of this magical moment. Strong roots, longevity and continued growth make the wedding unity tree a perfect metaphor for marriage. This tradition is quickly capturing the attention of U.S. brides, but newlyweds around the world -- from Germany to China to the Netherlands -- plant saplings to start their own family tree and watch their love grow. In The Marriage Tree, you'll discover some helpful tips for creating a meaningful and personalized ceremony, choosing hardy trees that symbolize marriage and ways you can share this tradition with your guests. Put a few twists on the traditional love lock ritual, which is a widely celebrated romantic gesture in Asia and Europe. You can also use these creative quotes and readings to celebrate the love lock unity ceremony during your wedding festivities. Tying of the hands is one of the oldest matrimonial traditions with variations of the ritual practiced in ancient South American, Hindu, Middle Eastern and Celtic cultures. This ceremonial hand binding is still widely practiced as modern couples explore new ways to tie the marriage knot. Explore this collection of handfasting readings, poems, and quotes to find the best way to explain the meaning of the blessing of the hands. This traditional Native American ritual is believed to bestow great blessings on the newlyweds, uniting them for eternity and challenging them to work as a team to drink the potent love potion. Expand this wedding vase unity ceremony with these prayers, quotes and ceremonial suggestions. As a symbol of trust, the Latino groom offers his brides 13 coins. The ceremony also represents the couple's pledge to uphold their financial and spiritual obligations in the marriage. You can use these prayers and sayings for celebrating the 13 Marriage Coins unity ceremony. Embodying comfort, shelter, and solace, the wedding shawl enfolds the couple in the protection of each other. Wrap your marriage in comfort with these wedding blanket prayers and readings. Capture the magic of your wedding day by creating a marriage time capsule that you will open at a specified time. You can use this collection of sayings to bless your wedding box. Marriage requires taking a leap of faith. This act has been symbolically represented for centuries around the world using a broom to represent the newlywed couple's fresh start in life. Browse a collection of readings that celebrate the couple's leap of faith into marriage. In most Asian cultures, a formal tea ceremony plays an important role in celebrating an engagement and honoring the bride and groom’s families during the wedding festivities. Japanese brides make wishes for a long marriage by folding 1,000 paper origami cranes, Japan's ultimate symbol of love. Modern couples turn these miniature replicas into majestic works of art that are displayed during the reception and in the home after the ceremony. 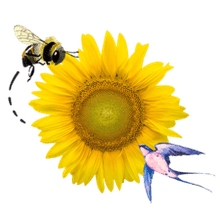 Honey is a fitting symbol for the sweetness of love and life, the golden nectar has played an important role in marriage unity ceremonies across the world. Check out this collection of sweet sayings to complement a honey marriage ceremony.